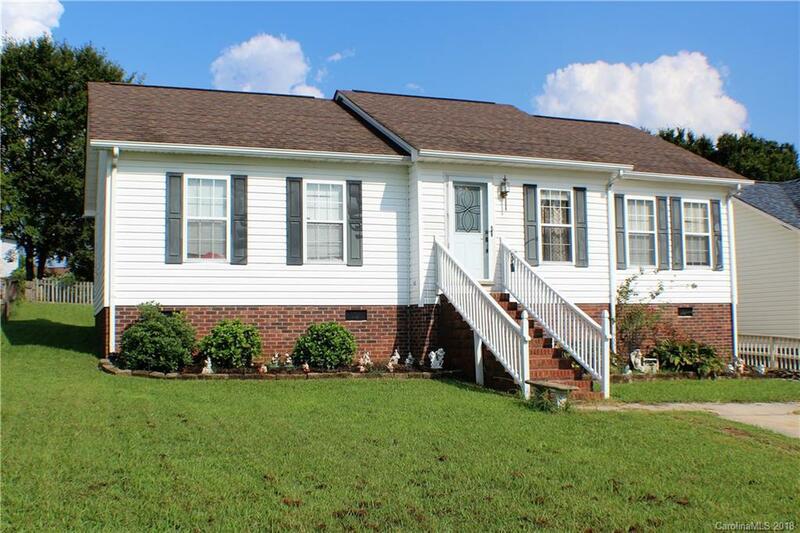 Open split bedroom ranch with 3 bedrooms & 2 full baths. Home is built on a deep crawl space, has an architectural shingle roof installed in 2016 per seller, a front door with decorative glass, plus a storm door. Dramatic Cathedral Ceilings in the entire Great Room & Kitchen Area. Recently installed laminate floors in Great Room with ceiling fan & coat closet, and in Hallway. Bright Kitchen has window overlooking the backyard, built in microwave, electric range & dishwasher. Master Suite with private full bath, walk-in closet, 2 windows & ceiling fan. Spacious secondary bedrooms with ceiling fans. Plenty of room to entertain on the back deck & the nicely sized backyard with neighbors' fencing on 3 sides. Driveway has room to park up to 4 cars. Located in a 100% Financing, USDA Rural Development eligible area. Hurry...this one won't last long!